When was the last time you sat down with some friends and just played games against each other all day long? There are still some party games out there to enjoy on the couch and Battlloon takes the fun a bit further by combining easy gameplay and a child-friendly environment to be acceptable by all ages so kids, teenagers and adults can enjoy the laid-back and colorful world of Battlloon. 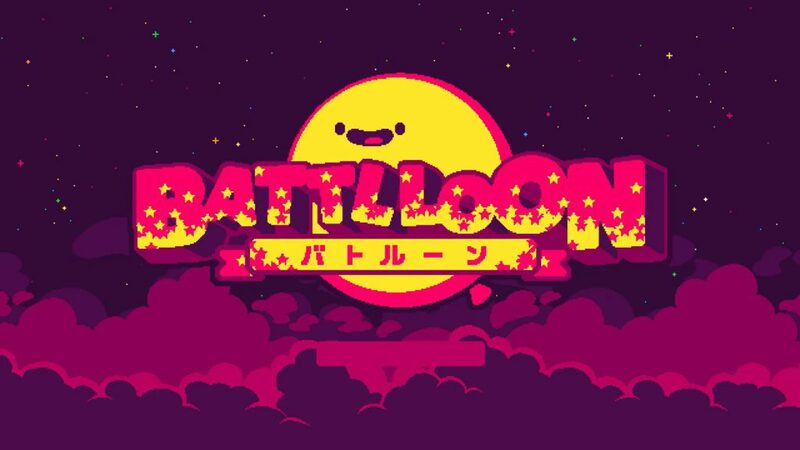 Battlloon is one of those games that reminds you of simpler times when easy-to-play arcade games didn’t require a background or even a setting for the matter. 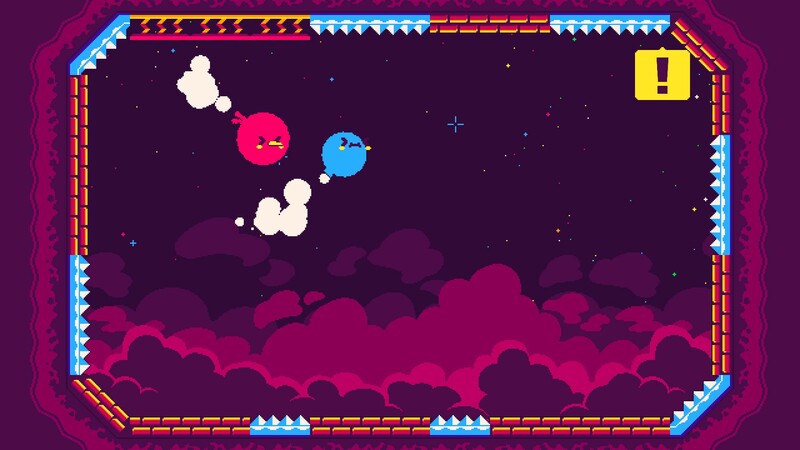 This game is all about some balloons trying to pop each other by deadly spikes on the wall. Each character has a short description but that’s as far as story goes. It would have been great for a Single Player story mode so you can discover and unlock all the characters, but as this little arcade game implies a strict multiplayer platform there simply was no intent for this to happen. In the intro we mentioned that the game is child-friendly, this is mainly because the graphics are so colorful and lively. Battlloon is fun because of its sheer cuteness as the balloons blow themselves up and slowly empty while flying. The animations are great, and the characters actually get indentations from bashing into each other, which make the game lively and cute. You play the game from a sideways perspective, so you have view over the whole playing field all the time. The stages are all beautifully made with some crazy settings such as underwater arenas. 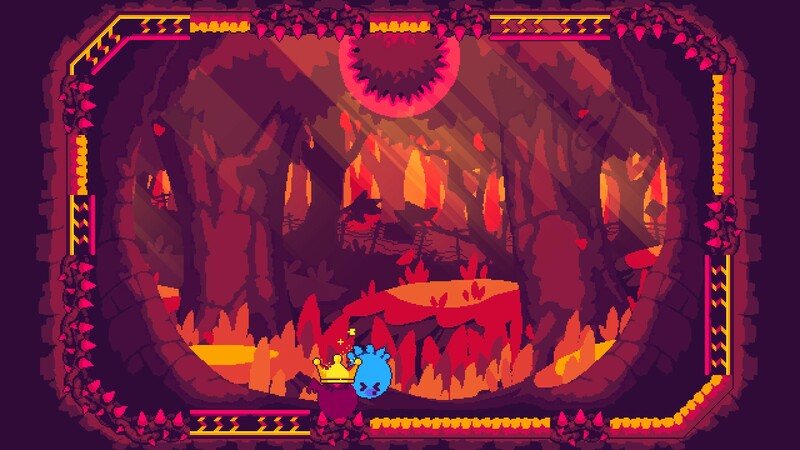 The game does not only look cute, it sounds accordingly. During the game, there isn’t too much sound present. You just hear balloons in- and deflating and some soft cute music playing, but overall the sound is pretty good. 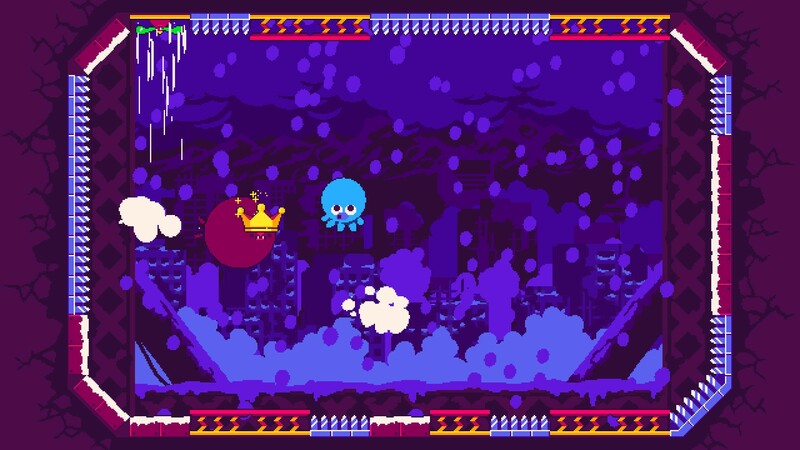 Battlloon is a local play-only arcade game in which up to four players fight to become the king. Upon first starting the game, a small tutorial introduces you to how the game works, after which you get dropped in the main menu and can fully enjoy the game. Now this is where the first flaw comes in. This game is marked as a two-to-four player local title and indeed, there is complete absence of any single or online multiplayer game mode. You might think, well it is advertised as such, why is it a problem? Well, the value of the game relies solely on having a physical player nearby to play with. For a console like the Switch, it isn’t that much of a problem, but for a PC title, things get a little difficult. The Switch has two built-in controllers, which makes things easy, but for the PC, you need external controllers or do it like in the early 2000s and be cozy with two on the same keyboard. They could have made the game a million times more interesting with at least an online multiplayer mode or adding AI would have been another neat feature. The controls are very easy: directional buttons to turn your character and one button to start breathing in air. When you release that button, you will deflate just like a balloon. This is how you must defeat your enemies, by pushing them into spiked parts of the arena. This task can be harder than you think since each character has its strong points and players won’t let you take them down that easily. Each Battlloon is unique with special attributes, some are bigger and slower but won’t get pushed around as easily, others move more directly and offer better control. There is a good diversity between characters and maps, giving you enough scenarios to play with, but it’s still limited to the local multiplayer. Battlloon is a game with great potential. It has fun gameplay but is greatly limited by the local multiplayer only. There’s no single or online multiplayer, so you always need someone next to you to be able to enjoy this title. For a Switch title, it isn’t that bad since you can carry it everywhere and even play it on the bus with someone, but for a PC port this does pose some difficulties. The whole game looks very cute and is easy to play, making it ideal for the younger gamers in the family. Give it to your kids so they can duke it out for hours on end!